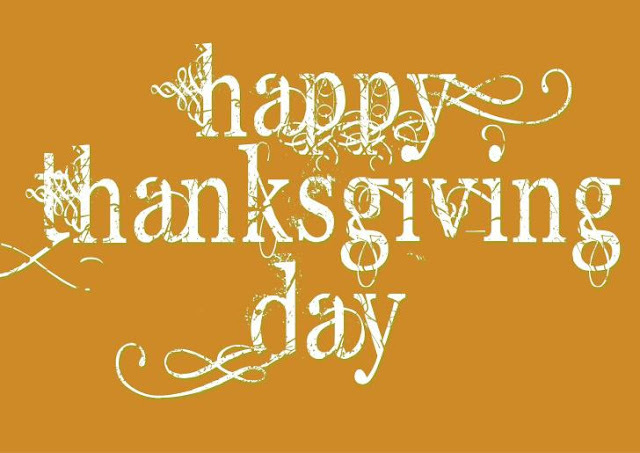 Home > Recent > This Thanksgiving, Don't Forget the Thermometer! Ah, the great American sport of gorging on various traditional dishes followed by the ingestion of far too many types of pie. People will spend the entire day in preparation, whipping up dish after dish with no sign of slowing. There’s nothing quite like Thanksgiving. It’s a feast of epic proportions supplemented with coffee, dessert, family, and a sense of bloated happiness. In the past, my family has been known to serve up ham, turkey, stuffing, mashed potatoes, green bean casserole, homemade cranberry sauce, and an assortment of Filipino food. I know what you’re thinking, Lechon doesn’t really go with the regular fare, but we just can’t help ourselves. Thanksgiving is, for many Americans, one of the largest meals of the year, requiring much in the way of prep-work and cooking. Juggling several kitchen tasks at once leaves plenty of room for error. However, when serving up to a host of people, errors can cause unfortunate foodborne illnesses. Follow these suggestions while slaving away in the kitchen to save your dinner from being known as Site 0 for Turkey Flu. In the lead-up to the big day, turkey is on everyone’s mind. It requires quite a bit of preparation and know-how to get the bird ready. If not cooked properly, your turkey could make dinner guests sick. Al Almanza, Deputy Under Secretary for Food Safety at the U.S. Department of Agriculture (USDA) says, “Turkeys may contain Salmonella and Campylobacter, harmful pathogens that are only destroyed by properly preparing and cooking the turkey.” With that, let’s look at some tips for safely preparing a bird for the holiday. Some people are under the mistaken impression that washing raw meat is the correct way to prepare it for cooking. However, the USDA does not recommend washing raw meat. In fact, doing so can cause bacteria to spread; as water runs over the raw meat, miniscule water droplets splash out of the sink, sprinkling the surrounding areas with a nice layer of bacteria. Rest assured that cooking meat to the right internal temperature kills bacteria more effectively than washing, tying in nicely to our next tip. The average weight of a Thanksgiving turkey is a whopping 30 pounds (13.6 kg), making it impossible to check how done it is using the same method you would a chicken breast, by slicing it at its thickest part to check if it’s pink in the middle. Don’t risk your guests’ safety! Rely on a food thermometer to check the internal temperature. It should register at 165°F (73°C). Make sure to check three locations for that temperature to ensure the turkey is cooked all the way through: the innermost part of the thigh, the innermost part of the wing, and thickest part of the breast. Frozen turkey can be safely defrosted in three ways: in the refrigerator, using cold water, or in the microwave. Thawing in the refrigerator is the safest method as it ensures a consistent temperature. It takes 24 hours for every 5 pounds of weight. Thawing in cold water is much faster than refrigerator thawing though it demands more attention. To thaw, submerge the bird in its original packaging in cold water. The water will need changing every 30 minutes. It takes 30 minutes of defrosting for every pound of turkey. Thawing in the microwave is not feasible for the average turkey, but it is the fastest method. You must have access to the manual to check the minutes per pound and power level. To thaw remove all outside packaging and use a microwave-safe dish with sides. Once finished, the turkey will need to be immediately cooked. With the temperature what it is in the northern parts of America, it can be tempting to store the abundance of leftovers outdoors. Will brisk temperatures keep food relatively safe? Temperature fluctuations and exposure to sunlight can cause food in storage containers to heat. Choose to store finished dishes in a cooler if you have no space in your refrigerator. Additionally, leaving food outside exposed to animals, domesticated or wild, which can contaminate food. In other words, you can only live on stockpiled leftovers for up to four days. Actually, leftovers past that date will still be safe to eat but may have lost their flavour and dried out. With such nasty pathogens found in uncooked turkeys, many wonder whether it is safe to stuff a turkey before cooking. 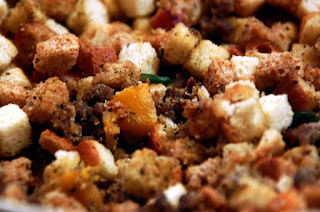 The whole point of the stuffing is to preserve moisture and absorb the turkey juices. Won’t harmful bacteria be transferred in the process? A document published by Raymond Rogers and Millard Gunderson of the Campbell Soup Co. concerns itself with the safety of roasting frozen, stuffed turkeys. Testing nine turkeys with a controlled amount of Salmonella pullorum, Rogers and Gunderson found that bacteria was reduced once the internal temperature of the stuffing hit 160°F (71°C). Accounting for inaccurate readings, the pair recommended a turkey be cooked to 165°F (73°C). If stuffing does not reach that temperature, bacteria can survive the oven, leading to food poisoning. For some, the risk of cross-contamination is too much to bear, leading them to cook stuffing separately from the turkey. However, nothing can quite compare to stuffing that’s been flavoured by the delicious juices of a roasting turkey. If you do choose to stuff your bird, the CDC says to insert the stuffing just before cooking. This minimizes the contact time between the raw poultry and the stuffing. Additionally, once the turkey has reached the correct internal temperature, let it stand for 20 minutes before removing the stuffing.